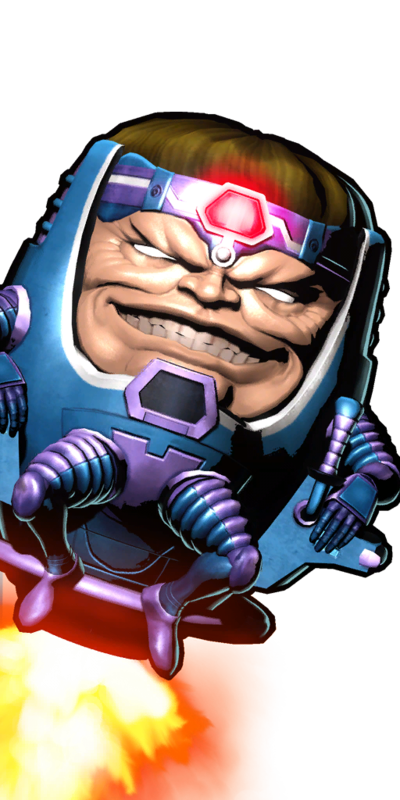 Average technician George Tarleton found his fate forever changed thanks to a random selection by his boss, the Scientist Supreme of A.I.M., who needed a unique, bio-engineered "living computer" in order to plumb the mysteries of the Cosmic Cube. 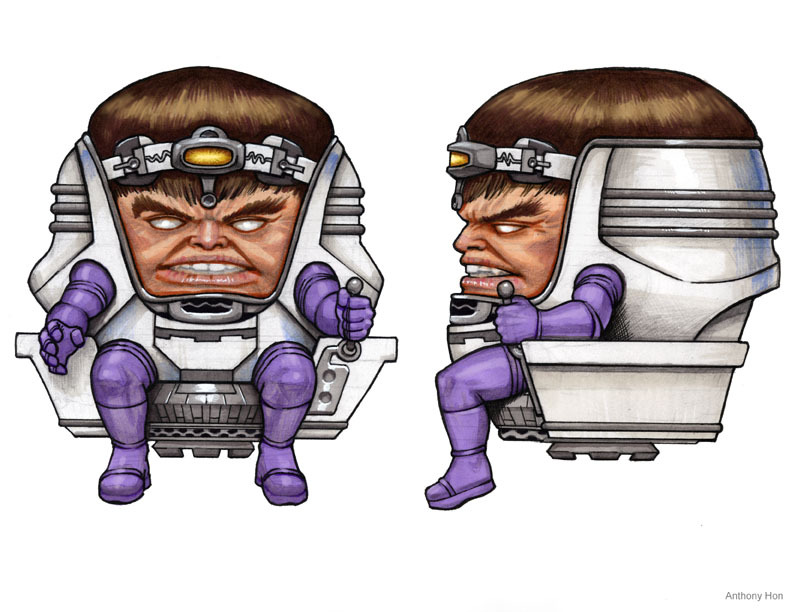 Tarleton was subjected to hideous experiments, mutating his body into a massive-headed being possessing superhuman intelligence and extraordinary psionic powers, and the process drove him mad. 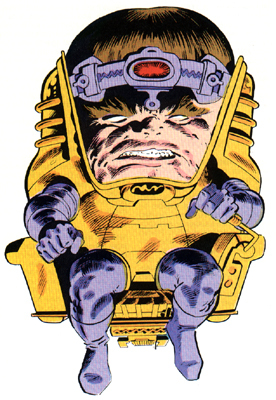 Given the code-name MODOC ("Mobile Organism Designed Only for Computing"), Tarleton instead turned on his superiors, slaying them all and declaring himself Scientist Supreme. 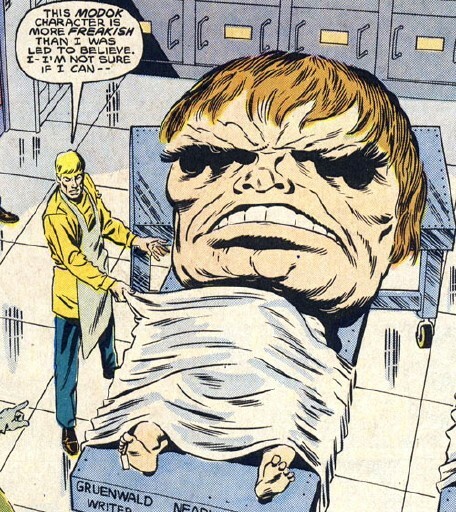 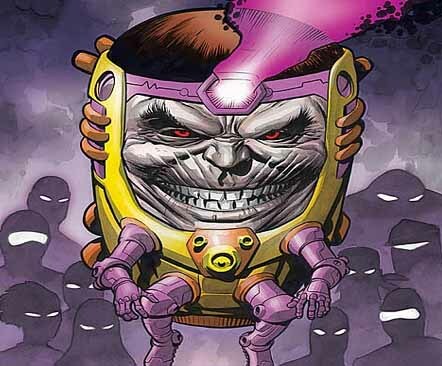 Moreover, he changed his name to MODOK, with the "K" standing now for "Killing." M.O.D.O.K. 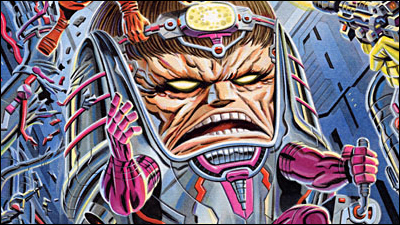 was one of those characters I'd get in a pack of Marvel cards when I was a kid and hated getting him... first because he's ugly as hell, and second because I already had about 15+ of him already. 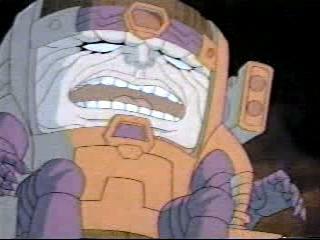 lmao. 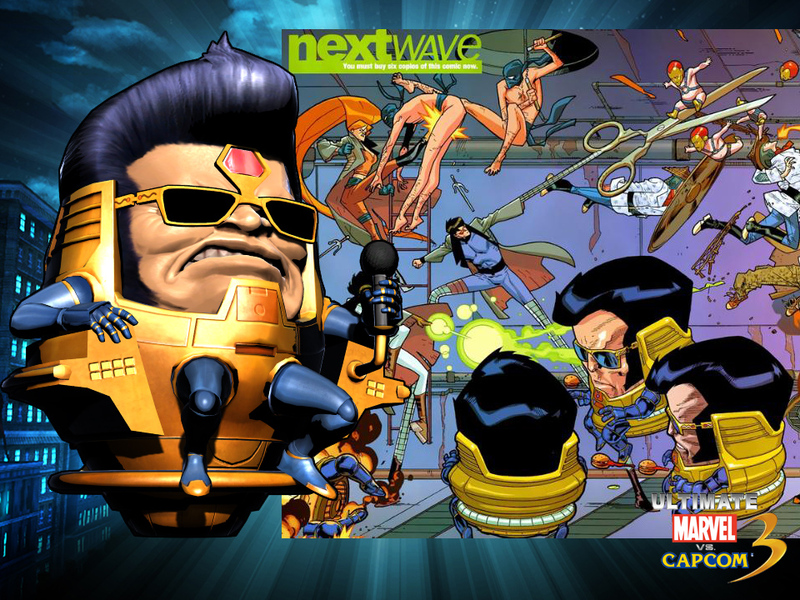 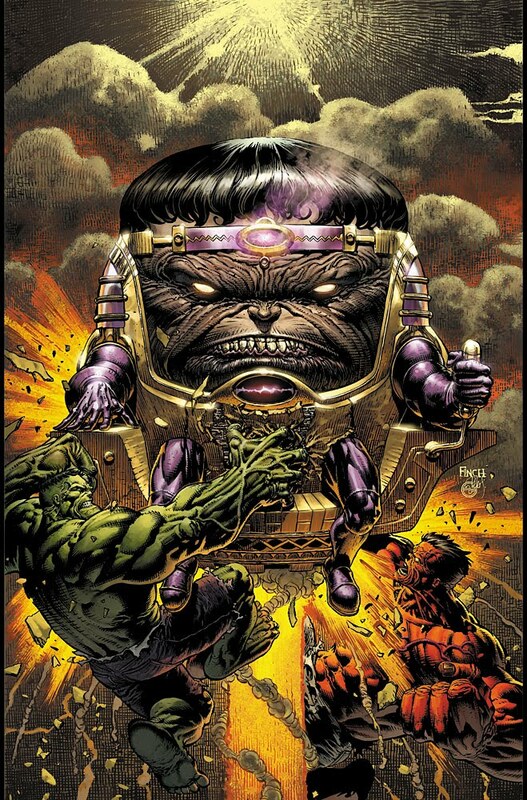 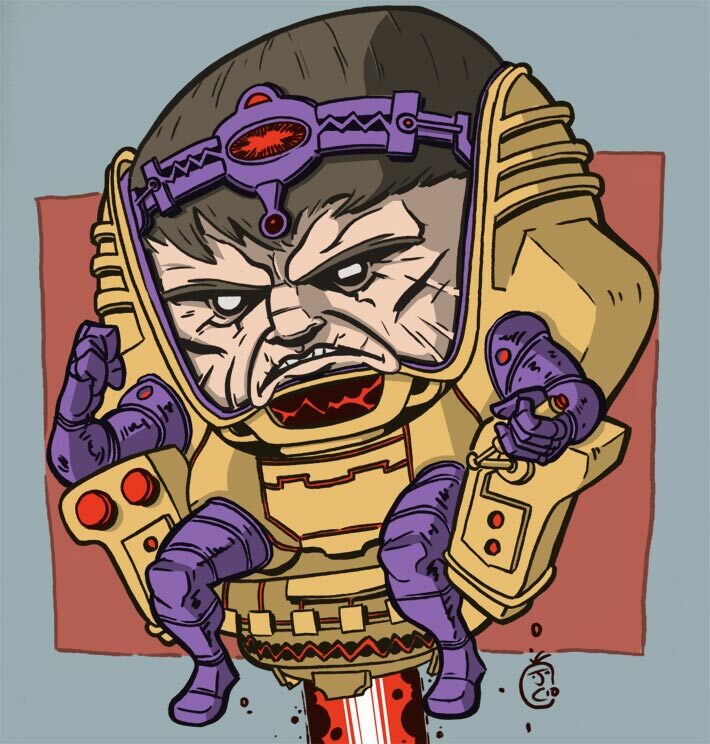 Like most Marvel fans, I've always kinda hated Modok. 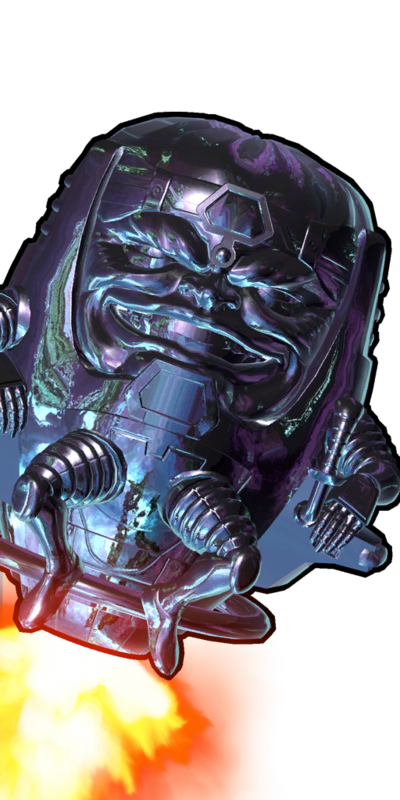 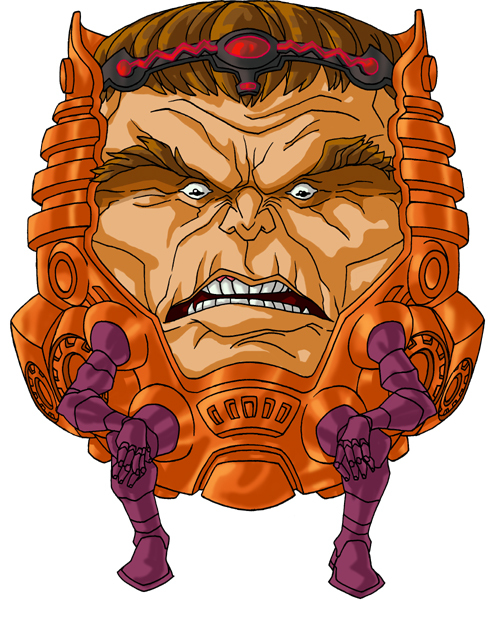 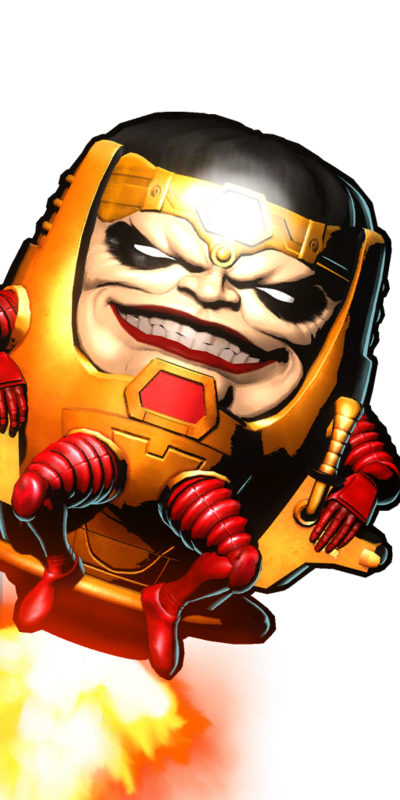 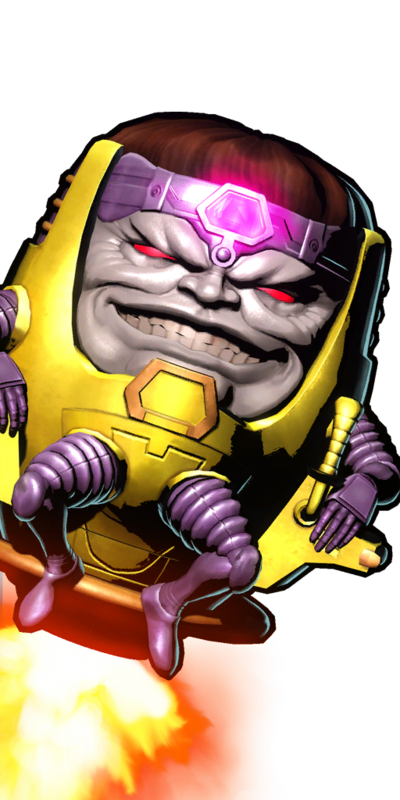 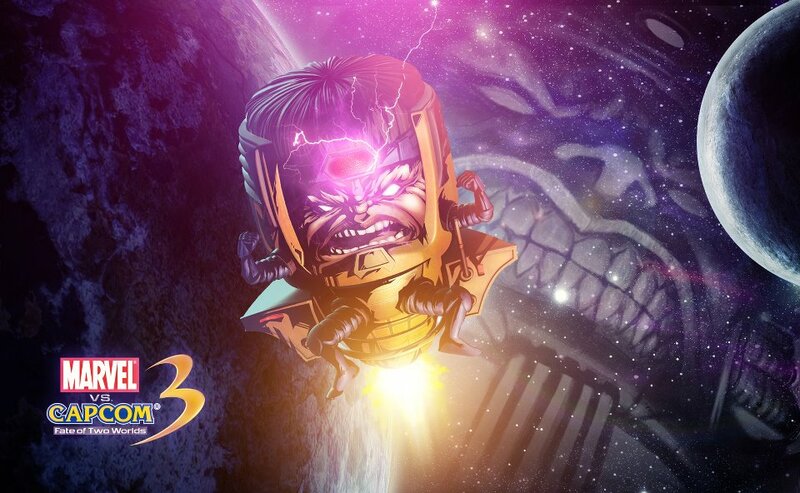 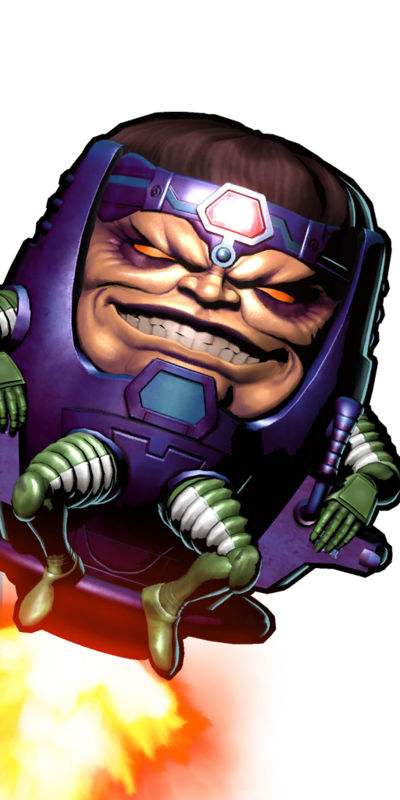 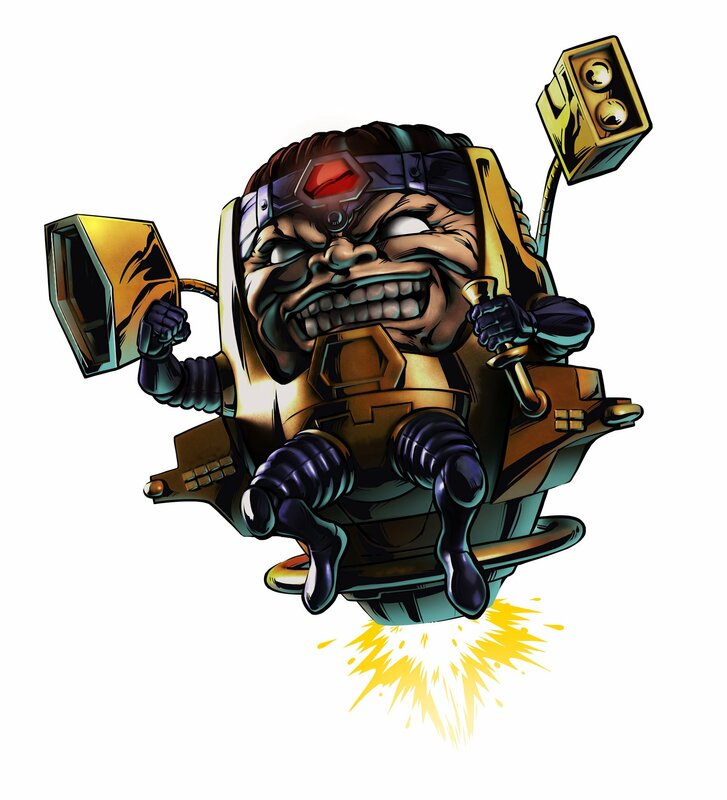 He's a really easy character to hate and that's actually part of his design when it comes down to it... you actually have to be kind of weird to "like" Modok... but I'm sure he actually has a few fans out there. 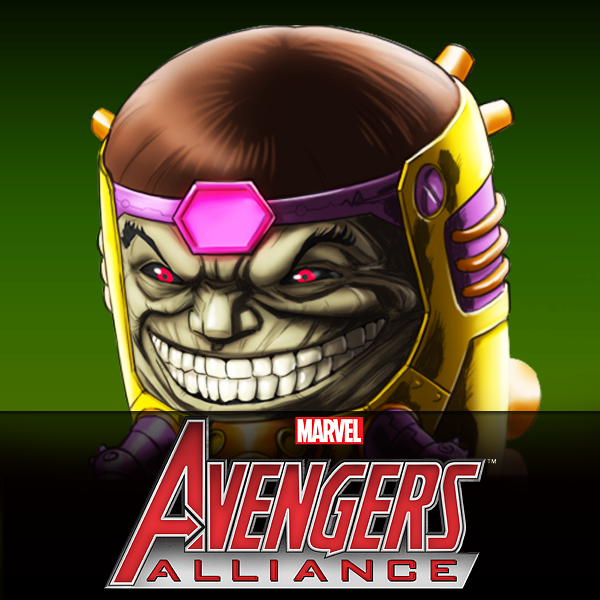 ;) lol. 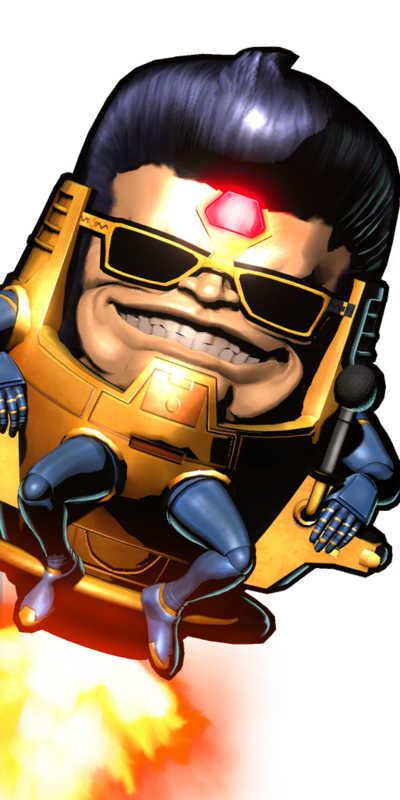 His Marvel VS Capcom appearance is entertaining in a lot of ways. 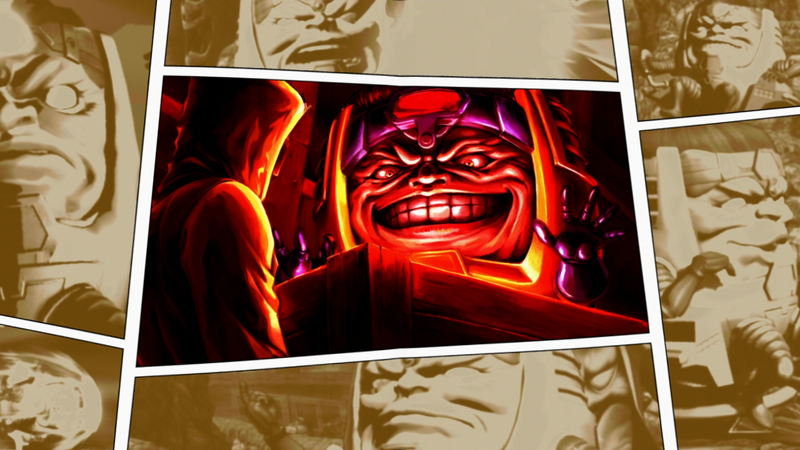 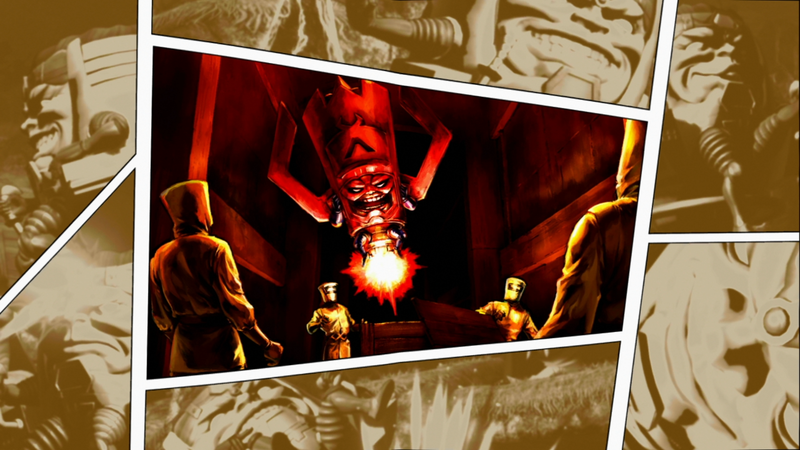 Modok's fighting style and in-game persona is executed very well. 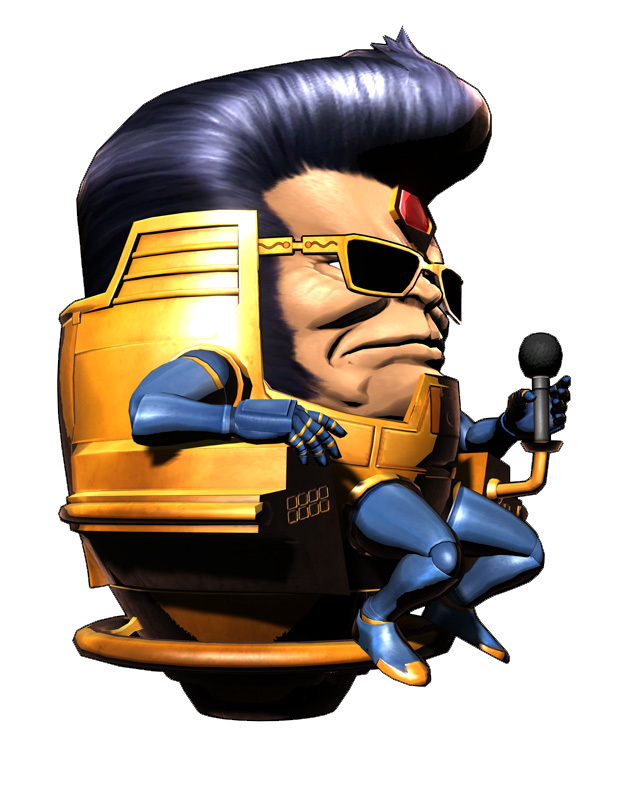 He definitely hold his own as a unique fighting game character... Capcom did a good job there. 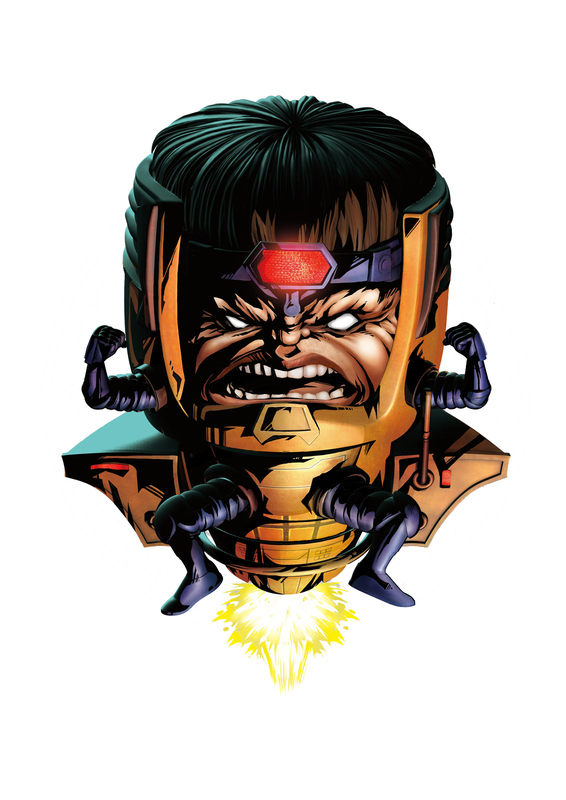 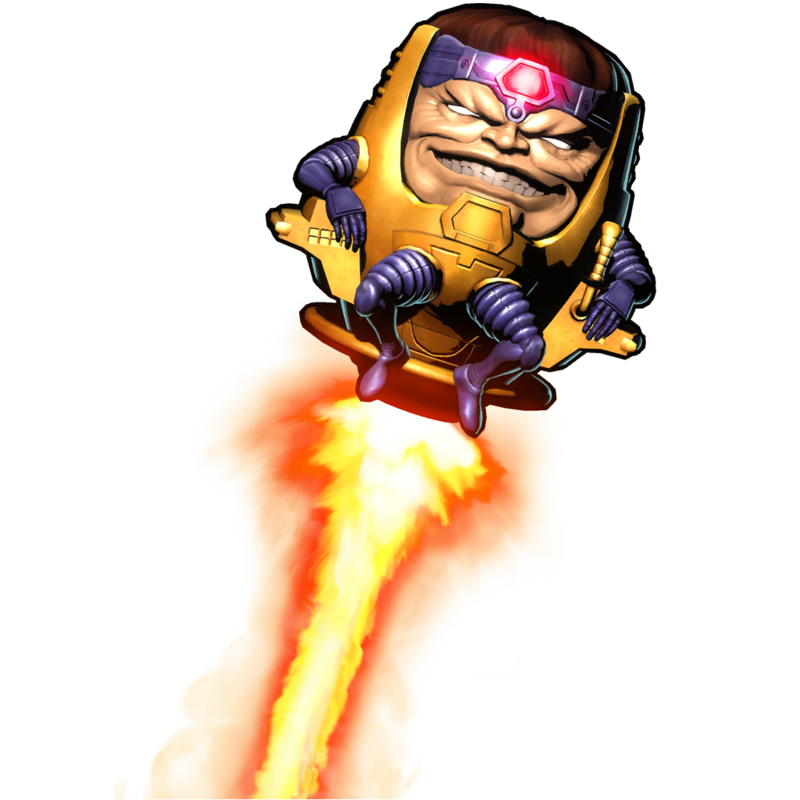 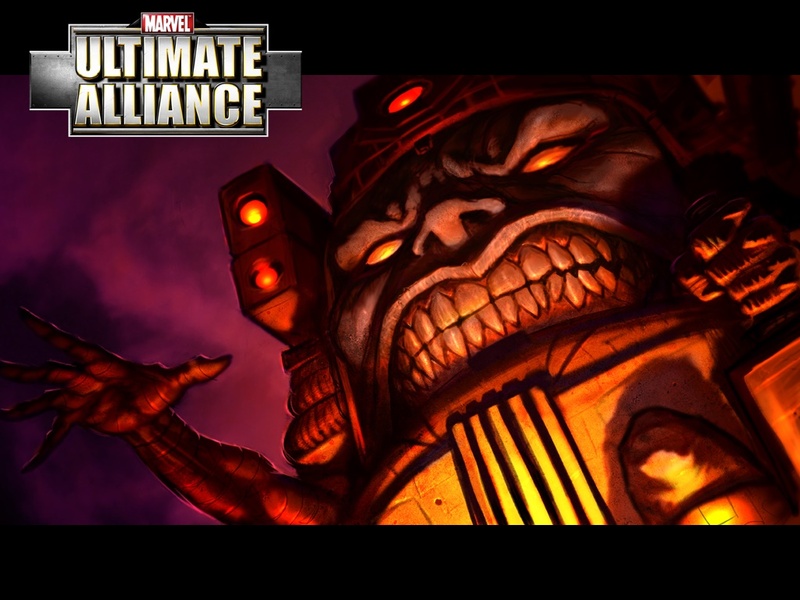 Modok is pretty annoying to fight against but also kinda fun at the same time. He's pretty fun to use if you give him a chance.